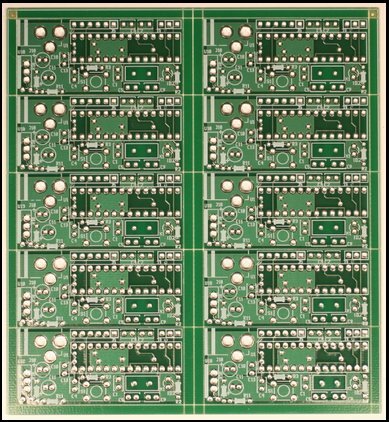 The PICO1TR is available in panels called a PICO1TR PANEL Each panel consists of ten PICO1TR pcbs arranged with v-scores between the rows and columns to enable individual PCBs to be separated after after the panel is assembled. 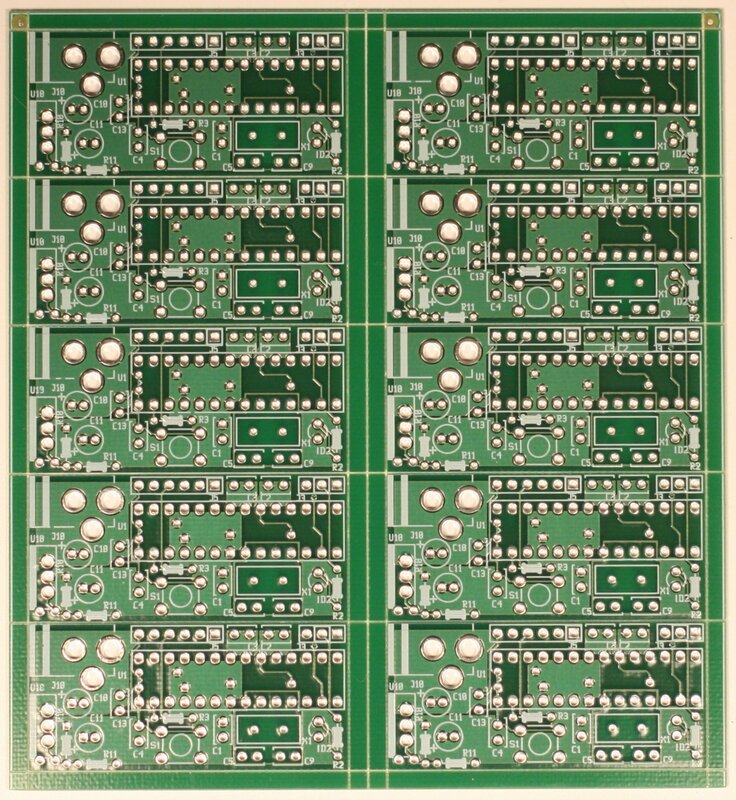 The individual PCBs are arranged in two groups of five. When split vertically at the center both halves are identical. There is a 125mil keepout area around the periphery of the panel and two 125mil keepout areas between the halves. Since all of the I/O connections from the PICO1TR are through the microcontroller a long pin socket is required (e.g. wire-wrap socket). The PICO1TR-PANEL can be purchased with wire-wrap sockets).